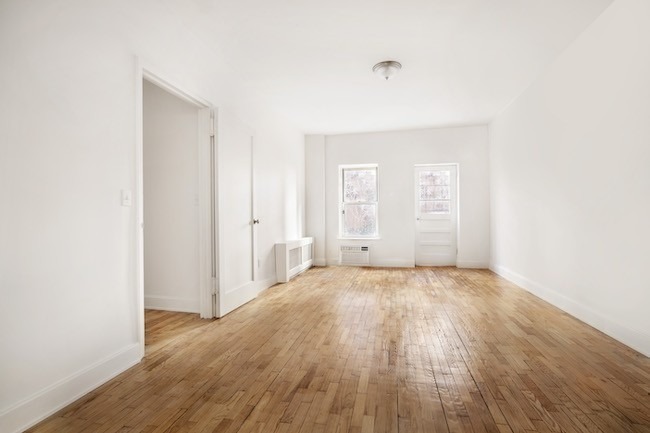 52 Ludlow St. #GLX is a two-bedroom, two-bath ground-floor apartment renting for $7,000 a month. Both bedrooms have access to a private, 400-square-foot patio. 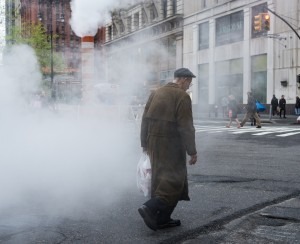 Living in a ground-floor apartment often gets a bad rap in NYC—with good reason. Being on the lower level of a building means you’ll have less privacy, especially if your windows face the street, and less natural light. Plus, you’ll be closer to noises, smells, and potential pest problems and security issues. Because of these factors, you’ll often see ground-floor apartments listed for a lower price or rent than a similar unit on a higher floor. Beyond saving some of your hard-earned money, there are a lot of New Yorkers who actually prefer living in a lower-level unit. Not only might they be easier to move into (especially in walk-up buildings), these apartments can be an obvious choice if you’re elderly, have mobility or health issues, children, or a dog that goes out several times a day. In addition to meeting your lifestyle needs, some ground-floor apartments have features that can actually make them more desirable—and luxurious—than units on higher floors. 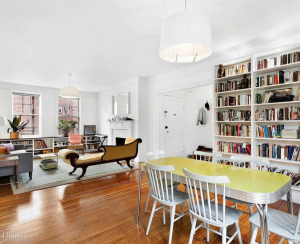 217 East 7th St. #LLA is ground-floor condo in the East Village on the market for $870,000. Its one bedroom and living room are in the back and look out onto the apartment’s private outdoor space. Given that some of the chief complaints surrounding ground-floor apartments have to do with their proximity to the street and all its fracas and stenches, an apartment's actual location in the building can make a world of difference. If you're situated toward the back of the building, for instance, you'll have much more peace and quiet—and maybe even a backyard (more on that later). A more-secluded location can also protect you from the noise of the building's lobby, stairwell, or elevator. "I saw a ground-floor apartment recently that was at the end of the hallway all the way at the back, so nobody actually passes in front of it," says Kobi Lahav, senior managing director of Mdrn Residential. "And in that case, the back part of the building was a little elevated, so you feel like you're on a higher floor so nobody's bothering you." For this reason, in new developments or recent renovations, you'll often see developers make an effort to put ground-floor units toward the rear of the building, or at least ensure that the bedrooms aren't facing the street to maintain some relative quiet. "Any smart developer is going to put the living room in the front and the bedroom in the back," says Nick Sanni, an agent at Citi Habitats. Similarly, many of these apartments are oriented so that the main entertaining spaces like kitchens and living rooms are facing large back windows into backyards to avoid street noise and let in more natural light. Bottom line: You still may not get all the light you want, but if noise is your primary concern, don't necessarily rule out a lower-level unit because where it’s situated could mitigate those concerns almost entirely. 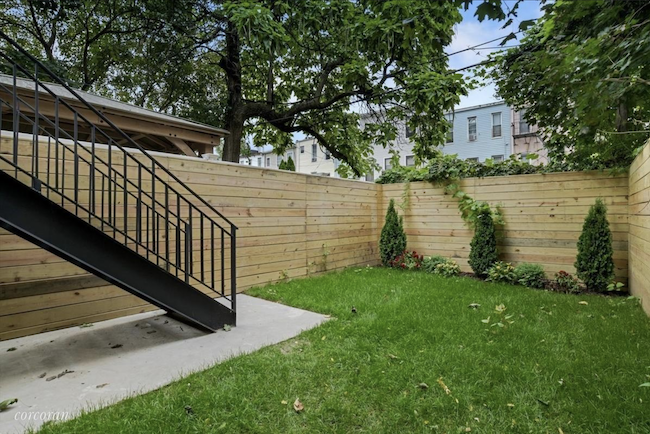 The garden of 656 Chauncey Street, a brand-new, two-family townhouse listed for $1.64 million in Bushwick, is accessible by the owner’s unit and the rentable ground-floor studio. One of the most common perks that may offset the potential downfalls of a ground-floor apartment is the all-important backyard, a coveted amenity in a city with precious little outdoor space. 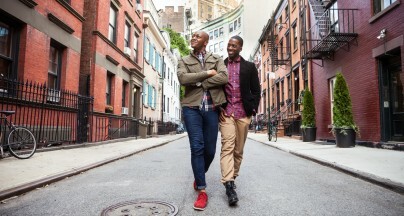 "Especially in Brooklyn, I feel like everybody with a dog is coming to see that apartment right away if it has a backyard," says Win Brown, an agent at CORE. In some cases, landlords may be inclined to renovate the space to make it more enticing (though if not, we've got tips here). "I worked with a developer who was going to have a ground-floor unit for sale, and I told him to put an outdoor kitchen in the backyard," Sanni says. "And landlords can have the outdoor space landscaped to add value. It's something so rare, and it's not that expensive to add on." If you're hoping for outdoor space but don't want to overspend, you may be able to score a deal by looking in the colder months. "We closed on a condo conversion with a backyard. It was on the market for almost six months, and then spring came along, and by the end of March a client said, 'I have to have it'," says Brown. "The same thing happened with a listing in Williamsburg. It was facing the street, which would be considered a drawback, but had an eight-foot setback, so it had a deep terrace facing the sidewalk, elevated by a few feet. That one was on the market for four or five months over the winter, but as soon as the nicer weather hit and we had an open house when it was 65 degrees, it sold immediately." Bottom line: A terrace or backyard might not seem especially enticing in the doldrums of February, but if you snap it up ahead of time, you've got a good chance at avoiding more stiff competition. 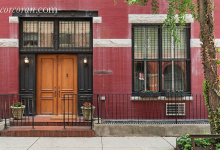 211 West 18th St. #1 in Chelsea is a two-bedroom, two-bath lower-level duplex for $2.5 million. It features a private garden, five-person outdoor hot tub, private laundry facilities, and custom closets. Particularly in apartments that are located on the ground floor of a townhouse or brownstone, there's a good chance you'll get access to the building's basement, which could mean extra storage and even your own laundry room. "You have your own private entrance, under the stoop, and get a sort of mudroom via that common hallway that leads down to the basement, but that nobody really uses," says Brown. "And besides the backyard, owners will usually give tenants access to the basement for laundry and extra storage, which means more space overall." Even in newer developments, you may see the space below-grade (aka, below the sidewalk) rejiggered as amenity space rather than a glorified darkroom. "With one property we're working with, on the lower level, we created a wet bar down there, and a full laundry room—it feels like a house," says Emily Beare, a broker at CORE. "That also comes with tons of storage, and huge closets." Bottom line: Pack rats, consider this a potential solution if you don't feel like springing for a storage unit. 24 Monroe Place Apt. 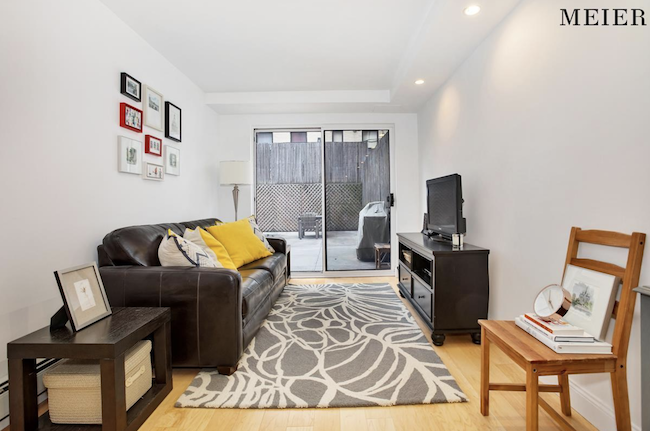 MA is a three-bedroom maisonette with a private entrance for just under $1.4 million in Brooklyn Heights. "[These are ideal] for the buyer who wants a townhouse lifestyle and more square feet, but doesn't necessarily want to be responsible for shoveling snow," says Beare. "You have the townhouse feel, but the beauty and convenience of being part of a building—you have a doorman, your own private entrance from the street, [and an entrance from the lobby]." The high ceilings in these newer maisonettes also generally come with tall windows, solving the problem of natural light. In a development on West 82nd Street, for example, each maisonette unit was a triplex with high ceilings, says developer Miki Naftali of the Naftali Group. "There was space in the back, and an entry from the street as well as a private entrance through the building," he explains. 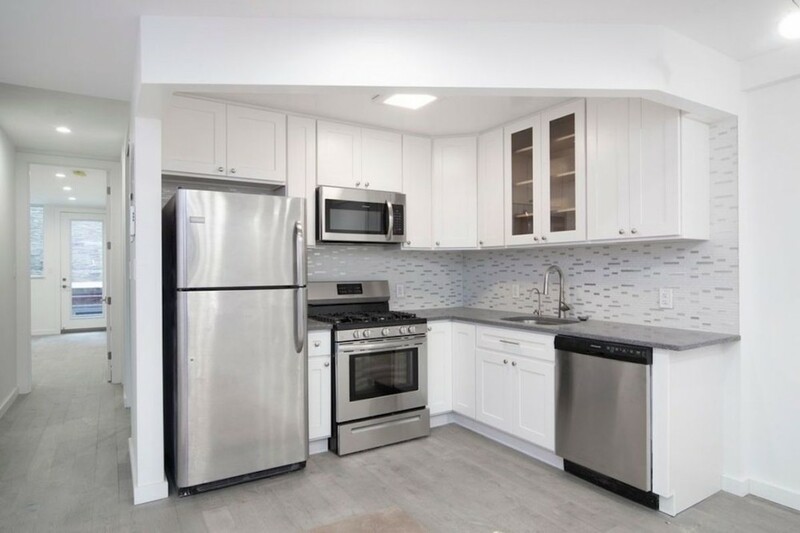 "It's a nice setup for potential buyers who are looking to maybe buy a townhouse but would like to have the security and amenities of a full-service building." Bottom line: Architecture is everything. Just because it's on the ground floor of a building doesn't mean it can't feel like a house. 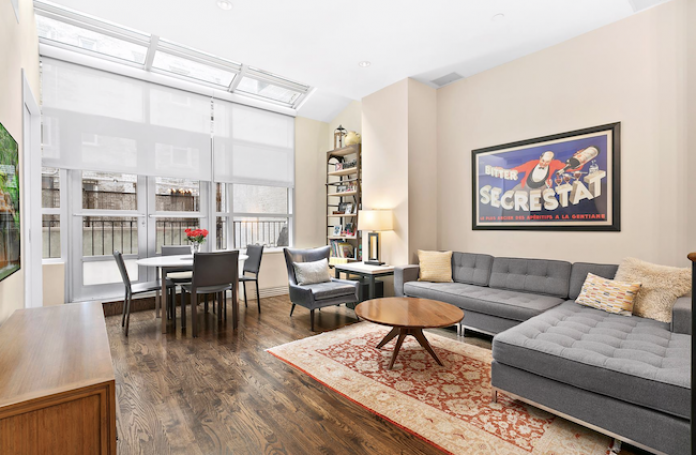 Asking $895,000, this recently renovated ground-floor apartment, 225 East 76th St. Apt. 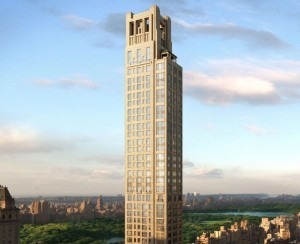 D, is far below the $1.8 median sales price for two bedrooms on the UES. High-design maisonettes are all well and good, but if your budget is more down-to-earth, then consider first-floor apartments an opportunity for savings—or haggling. "I had two listings in the same building that were both two-bedrooms, one on the first floor, and one on the second floor," says Sanni. "We valued the one on the ground floor at $3,200 per month, and the one on the 2nd floor at $3,400 per month—for two identical apartments." There's no rule of thumb for how much you might save on a ground floor—it will depend on a variety of factors including light, location, and outdoor space. That said, Mdrn Residential’s Lahav notes that a first-floor unit can be, on average, 15 percent cheaper than something comparable on a higher floor—or more if the apartment's less than ideal. "If it's really close to the lobby and facing the front, that could be 20 percent less," he adds. "If it's facing the back and quiet but there's no light, maybe 10 or 15 percent less." 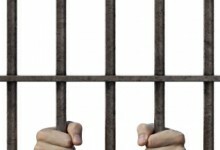 One real-life example he gave was the case of two identical apartments on the Upper West Side. 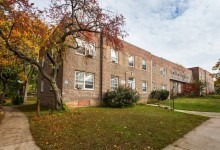 The second-floor unit sold for $1.55 million, while the one in the back of the ground floor went for $1.35 million. If the ground-floor unit had been facing the front, Lahav says, the price may well have been knocked down further to $1.2 or $1.25 million. "The front is really a deal breaker for a lot of people," he says. "And if it's something where the window is directly facing a bus station or something, that's going to be a 25 percent discount." Ultimately, it's all about sussing out the units with potential, and knowing what your deal breakers are, as in the rest of the apartment hunt. "There are things to watch out for, but if the landlord is smart and makes certain upgrades, garden apartments can work great for a lot of people," Sanni says. But here’s something to take into consideration: The market is still in the midst of a serious slowdown, one that saw sales hit the lowest level in 10 years in the first quarter of 2019, so selling any apartment right now could be a struggle. And if that apartment’s on the ground-floor, it could be even harder. “People realize they can get better deals on higher-floor apartments, so they find that they might not have to compromise on a ground-floor unit and that their budget can take them further,” Lahav says. Bottom line: You could get more for less money—and that, for many, is definitely a luxury.